Many cultures and countries have their particular "lucky" foods, and the Southern US is no exception. 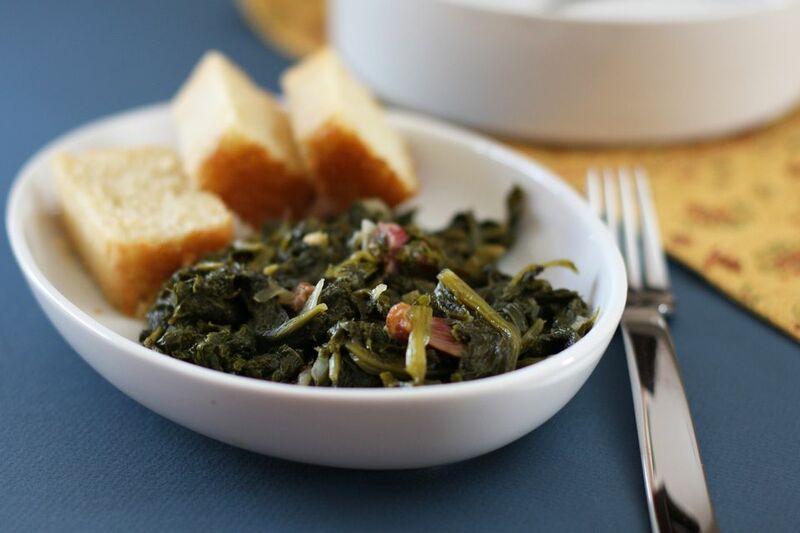 Greens, black-eyed peas, cowpeas, or beans, pork, and cornbread are some of the typical symbolic foods served on New Year's Day. This is the perfect New Year's Day Dinner menu, with skillet cornbread, easily seasoned mustard greens, spicy black-eyed peas (Hoppin' John), hot cooked rice and a fabulous peach upside-down cake. Some believe that lobster could cause bad luck in the coming year because it moves in a backward direction and could mean setbacks in the year ahead. For the same reason, chickens could be bad luck. They scratch backward, plus they are winged so your luck could fly away. Boiled Cabbage With Bacon: This is a flavorful alternative to Southern greens. Or serve your dinner with a creamy coleslaw or cabbage salad.